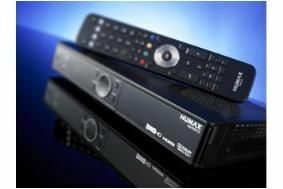 Humax issues software fix for HD-FOX T2 Freeview HD box | What Hi-Fi? Like a number of other similar devices, the Humax wasn't able to transcode the multichannel audio signal signal being broadcast by the BBC on its HD programmes. For reasons explained in our earlier news story, the BBC uses the AAC audio codec for multichannel sound on Freeview HD and this needs to be transcoded to Dolby Digital 5.1 so your multichannel amp or receiver can understand it. To get the update, go to the Humax download centre and follow the instructions. A second software update will be issued in September to enable users to record from the HD-FOX T2 to an external device.